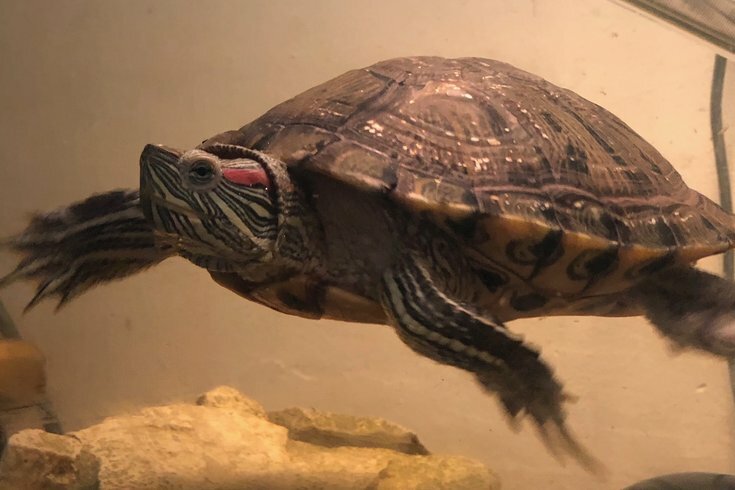 After three days in the wild, Suzy Greenberg the slider turtle was safely turned to her University City home on Wednesday. It was Saturday night and Jason Lerner – as he occasionally did – let Suzy Greenberg, the family-pet slider turtle, out of the tank it called home. The door wasn't wide open, but ajar enough through which to launch an escape. What (obviously) happened next would send Lerner out on a search-and-rescue mission that led to flyers being posted in and around the neighborhood. He and his 12-year-old daughter Sam headed out to their own, and neighboring, yards with flashlights on Saturday night, and then again on Sunday – to no avail. Along with his wife Carol, 14-year-old son Eli and two cats (including one named "Wilson" as another Phish homage), everybody was hoping for the best. As he described the block on which they live, the backyards are interconnected with an estimated 15-foot drop-off to the yards along 43rd Street. The search area was initially confined to those nearby yards. After the weekend, he thought there was little chance of seeing Suzy ever again. After all, this was the first time the turtle had been outside. How would Suzy Greenberg be able to find her way home? Initially, the thought was to make it a pet for his class at Morton McMichael School in Mantua, but feeding it over summer break necessitated a different approach. Fast forward to this weekend, and Suzy Greenberg is nothing short of a family member. 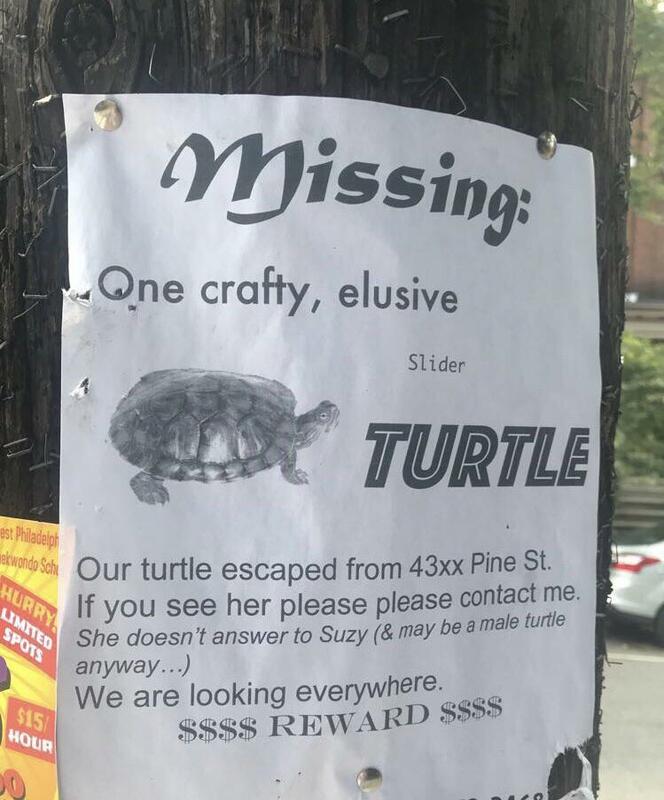 Despite the long odds, word made its way back to Lerner on Wednesday that a neighbor named Brian had seen Suzy in his backyard. She’d been “a little banged up,” what with the fall from the high wall separating yards. The neighbor declined to accept any reward money. A happy father also sent a message to those friends of his daughter who’d learned of their multi-day predicament.